During the Blue Bunny Neopolitan review, you might remember I said we would be getting back to basics around here. Oh, they'll be plenty of new flavors, but as the year winds down and we fill in the gaps of our new product knowledge, there's a bit of time to cover some classics. I was trying to think of a something a little catchier then back to basics and Nick suggested Throwback Thursday. Hmmm, not bad, let me just do a quick internet search on it.... darn it, that term is already kind of bouncing around a bit isn't it? Awww geez, even Perry's Ice Cream just beat us to the punch - check out this post labeled Throwback Thursday from earlier today. Oh well, let's join the #throwbackthursday crowd! 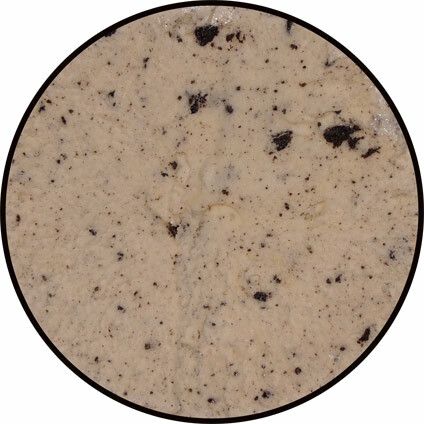 To me, very few things are more classic (or sacred) than cookies 'n cream. This is a simple flavor to make yet all too often gets messed up. 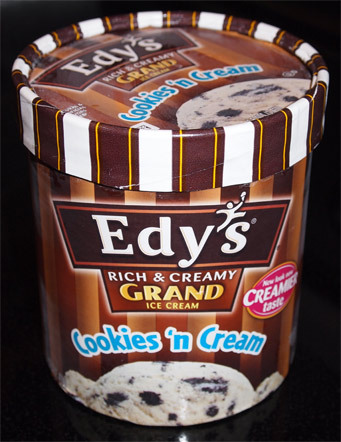 Overall I have fond memories of Edy's CnC, it's just always been a nice reliable flavor. I'm pretty sure I plowed through more than my fair share of CnC half gallons in college. Ok, that's a bit more retro... sort of... oh ok, I got tired halfway through my visual experiment last night and went to bed, but I meant well, really I did. Let's crack this puppy open. And that is exactly what you want to see - tiny bits everywhere and larger bits scattered about. 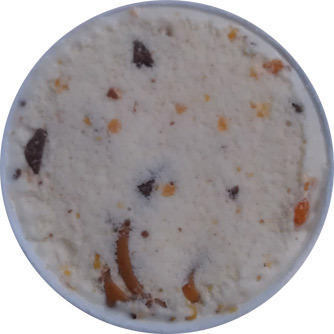 This ice cream continues to be a respectable flavor as expected. Decent texture, flavor, and mix-ins. Edy's has been making this long enough that pretty much every bite is the same. Sure you might get a larger bit now and then, but nothing crazy. You're not going to suddenly get some super crunchy wafer or find your with a whole hunk of cream filled cookie. It's good, standard, and reliable. Ok, enough with sounding like a thesaurus. And that's that.... though this post feels a little empty... let's talk about my lunchtime dessert! 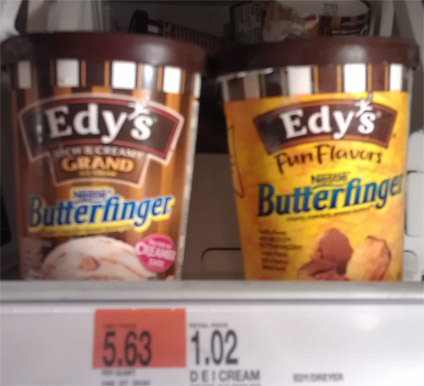 I may have cracked a small smile as I walked past the freezers and saw that Edy's single serve Butterfinger flavor has been converted back to a grand flavor as well. Down with the fun flavors! Long live Grand! I mean, come on, it only adds 20 more calories (all from fat, but still). Mostly you taste peanut butter with a hint of chocolate which overall does give you a mild butterfinger vibe. At the very least, it definitely leaves with a very butterfinger-y aftertaste which I thought was pretty neat. This one is by no means a failure and I want to blame the texture on any mishandling during the delivery to Target, so maybe I'll try it again from another store to see how it holds up. Ok, this post is over. 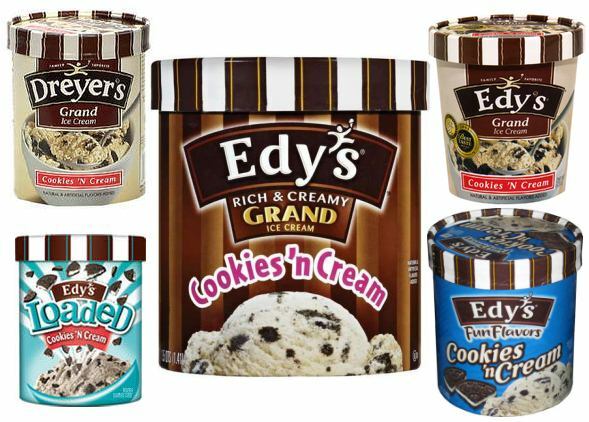 Let's give Edy's / Dreyer's a big hand for ditching "fun" frozen dairy desserts! I am excited that Edy's finally made the switch because the frozen dairy dessert base was not good at all! Thanks for re-trying and re-reviewing this flavor. 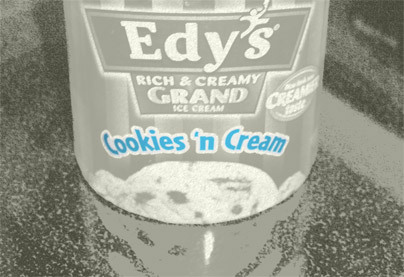 I might give Edy's another shot now! Seeing as they didn't come out with any new flavors this year, I have high expectations now for these newly tweaked flavors.